On account of its low water solubility, APP-1 is particularly suitable as an ‘acid donor’ for intumescent coatings. Other essential components of intumescent systems include a binder, a carbon donor (e.g. pentaerythritol) and a blowing agent (e.g. melamine). On exposure to flame, intumescent coatings form a carbonaceous foam which effectively shields the underlying material from temperature increases. Steel structures coated with intumescent paints can meet the requirements of fire resistance classes specified in EN, DIN, BS, ASTM and others. The application of APP-1 based intumescent coatings on wood or plastics enables these materials to qualify for Building Material Class B (DIN EN 13501-1). APP-1 imparts a good flame-retardant effect to adhesives and sealants when it is incorporated into the base formulation at the rate of 10 – 20 %. APP-1 is a suitable non-halogenated flame retardant for polyurethane foams. If handling of APP-1 as a solid is not possible we recommend the dosage of the flame retardant by preparing an APP-1/polyol-suspension. Because of the low acid number of APP-1, it is also possible to incorporate this flame retardant in an APP-1/isocyanate suspension. To prevent the solids from settling, the APP-1 suspensions should be stirred or circulated by pump. The stirrers commonly found in service tanks are adequate for this purpose. APP-1 has an excellent flame-retardant effect in cellulose-containing materials such as paper and wood products. With chipboard products, the DIN EN 13501-1 classification can be achieved by adding 15 – 20 % APP-1. Because of its high heat stability, APP-1 is an essential component in intumescent formulations for thermoplastics, particularly polypropylene, for which the classification UL 94-V0 is specified for applications in the electrical sector. 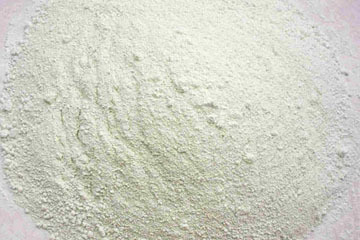 Casting resins based on epoxy resins or unsaturated polyester resins achieve the classification UL 94-V0 with APP-1. Minimum shelf life is 12 months from the date of shipping when stored according to the said conditions. Packaging: APP-1 is packed in 25 kg 4-ply paper bags with polyethylene inliner. The standard supply unit is a shrink-wrapped pallet with 40 bags weighing 1000 kg net. Please, subscribe our news to be updated. We promise not to spam! Because we love our clients. We value integrity, quality and speed in all aspects of our business uneasy.